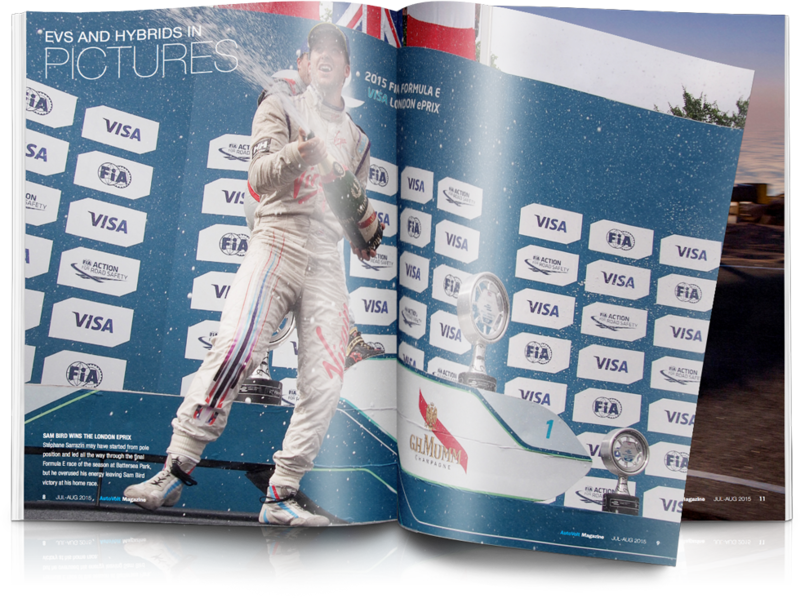 If you don’t fancy digital or simply prefer paper, you can order stunning high quality printed issues from Amazon or MagCloud and have Autovolt delivered direct to your door. Each issue from Amazon costs just £10 and includes next day delivery. Did You Know? You can browse all our magazine prints on Amazon here . May-June 2018 Issue 24. The I-Pace is the future of Jaguar, with its blend of astonishing electric power, luxury and near-300 mile range. James Scoltock interviews Henrik Fisker about his latest electric car, the EMotion. Paul Beard gets to grips with the new Nissan Leaf in ever-wondrous Scotland, then switches for the Volvo V90 T8 plug-in hybrid estate car. We’ve reviews galore including the smart forfour EQ, a hybrid twin test of the Toyota Auris Touring Sports & Lexus CT 200h, plus for the first time the sumptuous Range Rover P400e plug-in hybrid. March-April 2018 Issue 23. We head to Tenerife to find out whether Nissan’s Leaf is still at the head of the game. Plus, an exclusive feature on Jaguar’s hotly anticipated I-Pace. In review the Volvo S90 T8 plug-in hybrid, Kia Niro Hybrid and Toyota C-HR Hybrid. Williams Advanced Engineering’s advanced electric vehicle platform FW-EVX. A retrospective look at the 1967 Ford Comuta. An interview with Mark Gemmell, co-founder and CEO of the Electric GT Championship. Doug Campbell, Solid Power’s founder and CEO, explains solid-state batteries. January-February 2018 Issue 22. We head to Tenerife to find out whether Nissan’s Leaf is still at the head of the game. Plus, an exclusive feature on Jaguar’s hotly anticipated I-Pace. In review the Volvo S90 T8 plug-in hybrid, Kia Niro Hybrid and Toyota C-HR Hybrid. Williams Advanced Engineering’s advanced electric vehicle platform FW-EVX. A retrospective look at the 1967 Ford Comuta. An interview with Mark Gemmell, co-founder and CEO of the Electric GT Championship. Doug Campbell, Solid Power’s founder and CEO, explains solid-state batteries. November-December 2017 Issue 21. 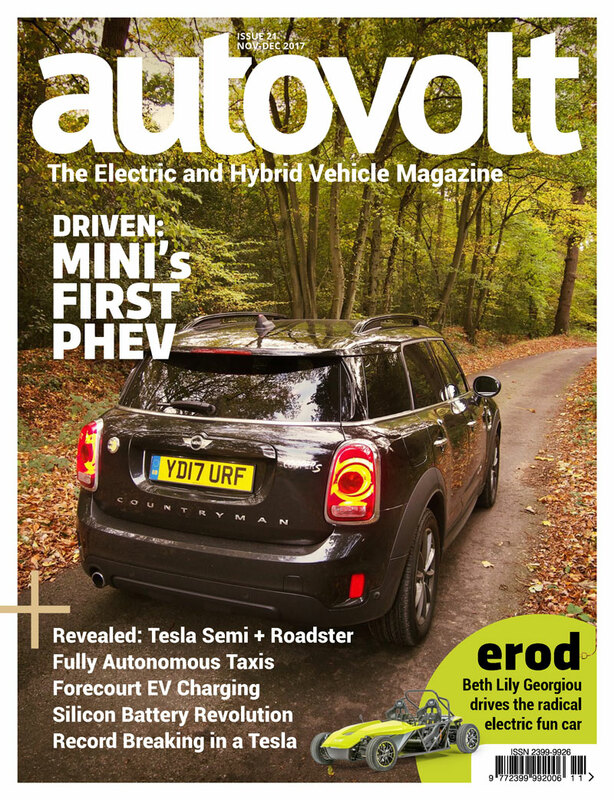 We drive the MINI Countryman PHEV, while Beth Lily Georgiou gets to grips with the Swiss-built electric ‘erod’. Robin Whitlock talks to InstaVolt about providing free rapid chargers to fuel forecourts. We uncover the latest NAVYA – a fully autonomous taxi that should be in a city near you, as soon as mid-2018. We’ve a special news focus on the latest Tesla Semi truck and new Roadster. We’ve our latest Kia Niro long term review update and provide insight into next-gen battery tech plus what ultra-fast charging might mean for electric vehicles. September-October 2017 Issue 20. It’s Autovolt Awards time again. There are more cars to choose from, batteries have more range and carmakers are vying for the public’s attention with a bewildering array of electrified auto-exotica. 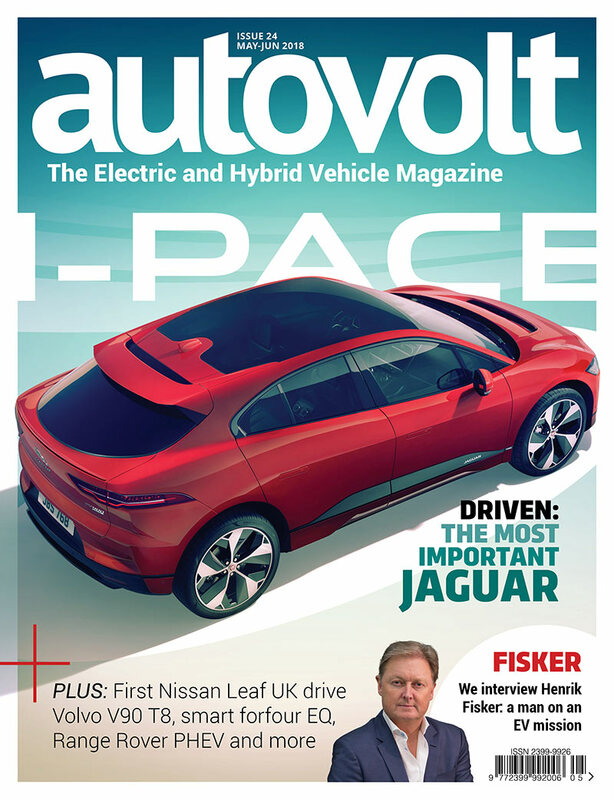 But, awards aren’t the only thing to enjoy in this issue, as there are long term updates on the Kia Optima Plug-in Hybrid and Kia Niro Hybrid. Our feature article focuses on an interview with Lewis Black – the 21-year old founder of e-Cars Trading – about buying used EVs and an outlook on the future of EV sales. Plus, as always, there’s much more inside. July-August 2017 Issue 19. In this, our third anniversary issue, we go a little off piste and explore the exciting world of drone racing. It’s fast, furious exciting and – with technology – first person view too. Seasoned motorbike journalist Paul Blezard goes for a ride on the BMW C evolution electric scooter and finds out what makes it so special. In review we have the Hyundai Ioniq Electric, Toyota Prius Plug-in and Mercedes E 350 e. There are also updates on our long term Kia Optima PHEV, Part 5 of Tom Curtis’ Nissan Leaf and our historical car this time is the Henney Kilowatt. 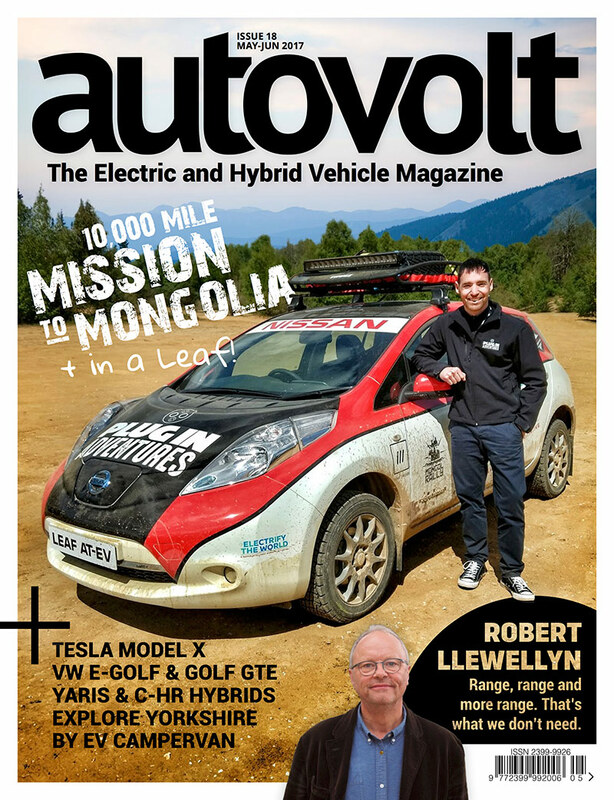 May-June 2017 Issue 18, Autovolt drives Plug-in Adventure’s modified Nissan Leaf ‘AT-EV’ while getting the lo-down on his adventure to Mongolia. Reviews in this issue include first drives of the Toyota Yaris Hybrid and the updated 2017 Volkswagen e-Golf and Golf GTE. Tesla’s Model X SUV 90D is put through its paces, as is the stylish Toyota C-HR Hybrid. We explore Yorkshire in an electric ’73 VW Camper, courtesy eDub Trips. 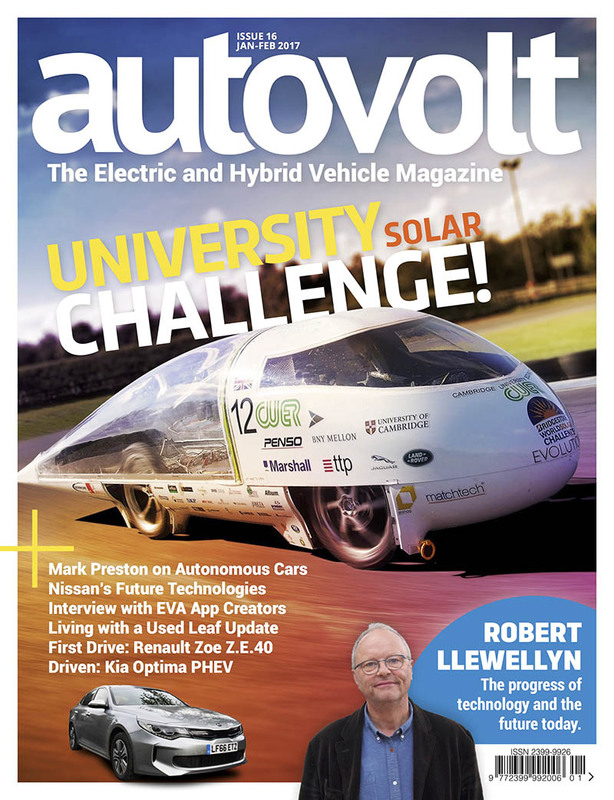 Robert Llewellyn wonders whether electric cars already have too much range and Mark Preston discusses the importance of teaching engineering in schools. March-April 2017 Issue 17 covers a first drive in the economical new Toyota Prius Plug-in hybrid. VW’s recently refreshed e-up! electric city car is put through its paces and we try the Renault Zoe Z.E.40 on UK soil for the first time. Hyundai Ioniq Hybrid and Kia Niro Hybrid twin review. Jonny Smith has a go on a Motochimp electric scooter. Autovolt travels on the NAVYA ARMA autonomous shuttle bus. A focus on the electric and hybrid highlights from the Geneva Motor Show. A new history feature, looking at the Toyota IQ EV. As always there’s much more to look forward to. January-February 2017 Issue 16’s cover feature is all about the World Solar Challenge; a race across Australia in solar powered cars. Column by Robert Llewellyn and Mark Preston on the topic of future technologies including autonomous vehicles. Reviews: Renault Zoe Z.E.40, Kia Optima PHEV. Tom Curtis interviews the creators of the Nissan Leaf EVA app and provides an update on life with his Leaf. Special insight into UK charging infrastructure and autonomous technology. Technology review on Nissan ‘Futures 2’ event, about autonomous driving and static battery storage. 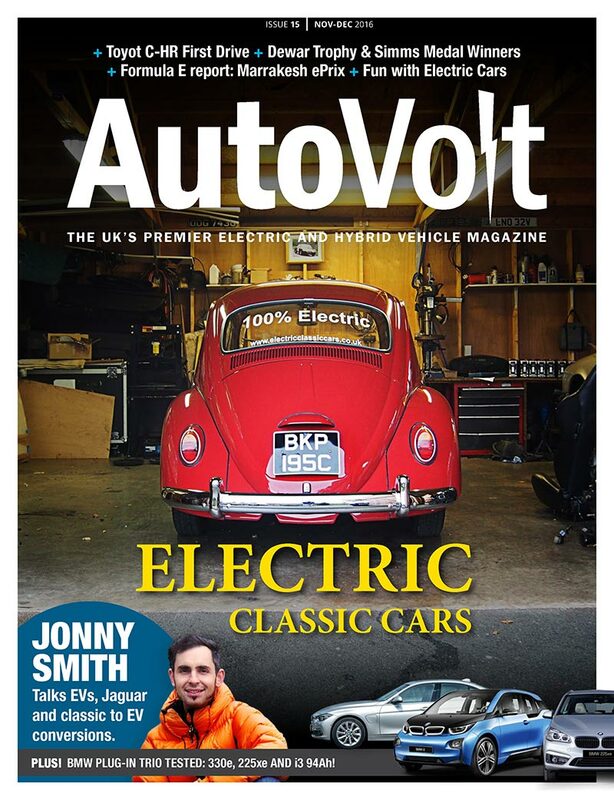 November-December 2016 Issue 15 Jonny Smith looks at why an electric vehicle future is exciting. First drive of the Toyota C-HR Hybrid by Tim Barnes-Clay. Electric Classic Cars: converting a 1965 VW Beetle. Trio review: BMW 330e, BMW 225xe and BMW i3 94Ah. Features: What happens when you run out of juice in an EV. We take a look at why electric cars are regarded as ‘fun’. Formula E Marrakesh ePrix race report. Dewar & Simms 2016 Awards: Gordon Murray Design and Riversimple. Tesla Roadster buying guide. 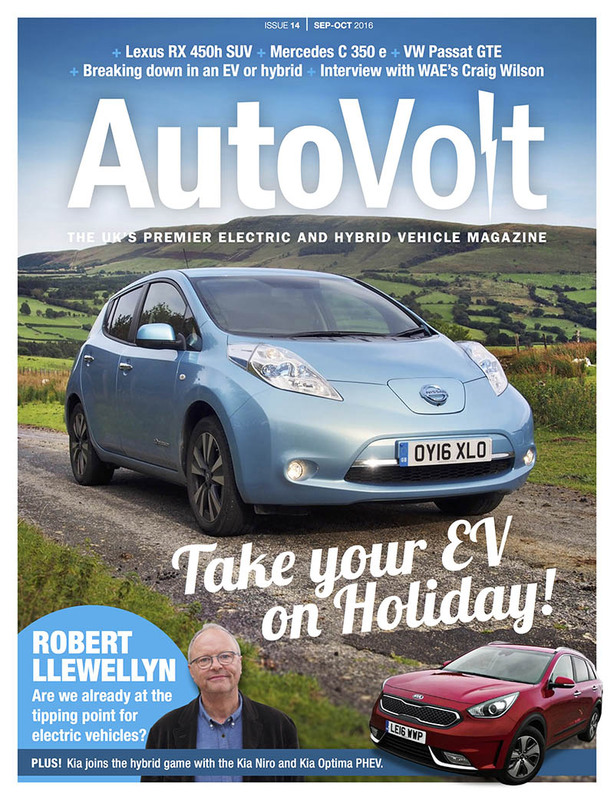 September-October 2016 Issue 14 Take your EV on holiday feature. Formula E battery, Jaguar FE Team and the Nissan BladeGlider concept are discussed with Craig Wilson, Williams Advanced Engineering’s MD. Robert Llewellyn considers whether we’re already at the tipping point of electric vehicle adoption and we’ve reviewed the KIA Niro Hybrid, Mercedes C 350 e, Volkswagen Passat GTE, Lexus RX 450h. Meanwhile, Tim Barnes-Clay heads to Europe to test drive the KIA Optima PHEV. Plus there’s news, a Toyota Prius Gen-1 buying guide. 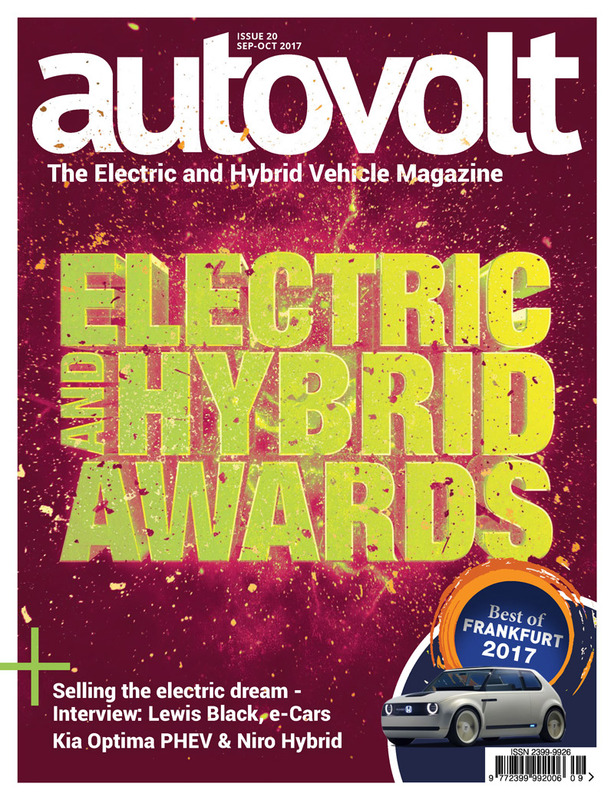 July-August 2016 Issue 13 features more than 40-pages dedicated to the Autovolt Electric & Hybrid Awards 2016. We review Tesla Autopilot in a Model S in the real-world. Introducing our first column by renowned EV advocate Robert Llewellyn. Lem Bingley gets the lo-down on the stunning Morgan EV3. We review a trio of plug-in hybrid SUVs, including the Volvo XC90 T8, BMW X5 xDrive40e and Porsche Cayenne S E-Hybrid. 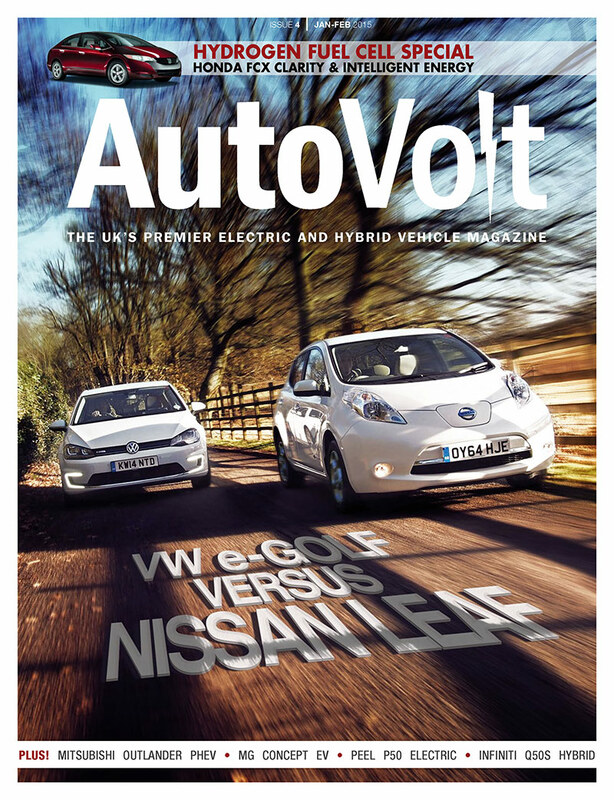 Plus there’s a buying guide about the Mitsubishi i-MiEV and a long term update on our Nissan LEAF 30kWh. May-June 2016 Issue 12 features first drive’s of the diminutive Mahindra e2o city car and the pioneering hydrogen powered Toyota Mirai. 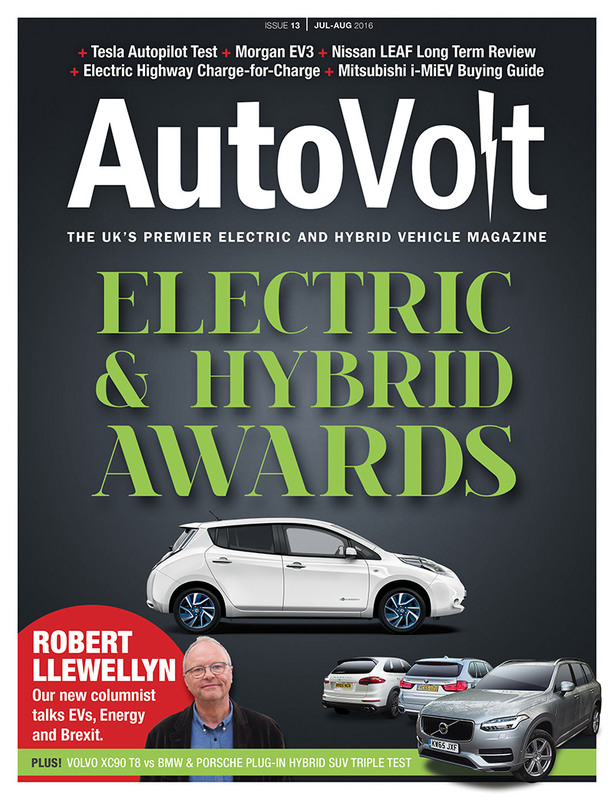 Full reviews of the new Nissan LEAF 30kWh, 2016 Toyota Prius, striking Lexus RC 300h coupé and a special feature focus on another hydrogen car, the Welsh Riversimple Rasa. 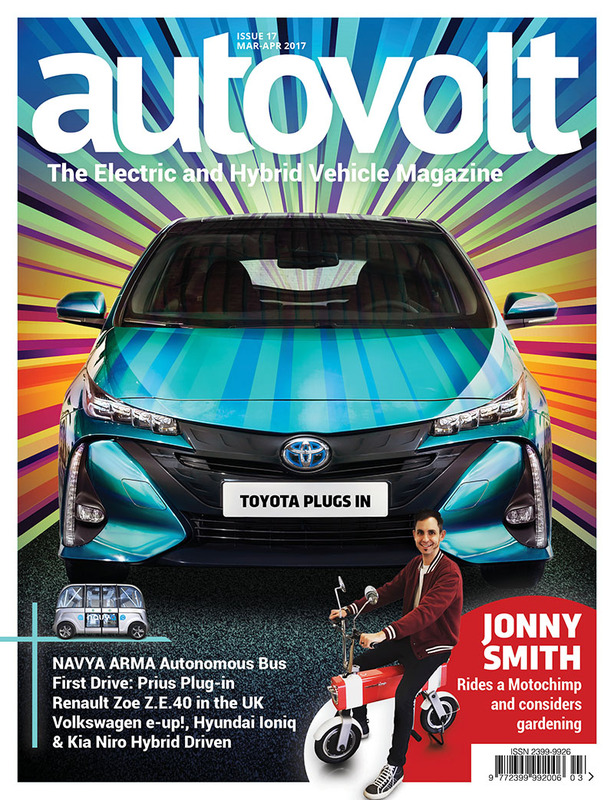 Plus a look at whether autonomous cars will save lives and should the UK government invest in EVs. An interview with Richard Candler, futurologist for Nissan. 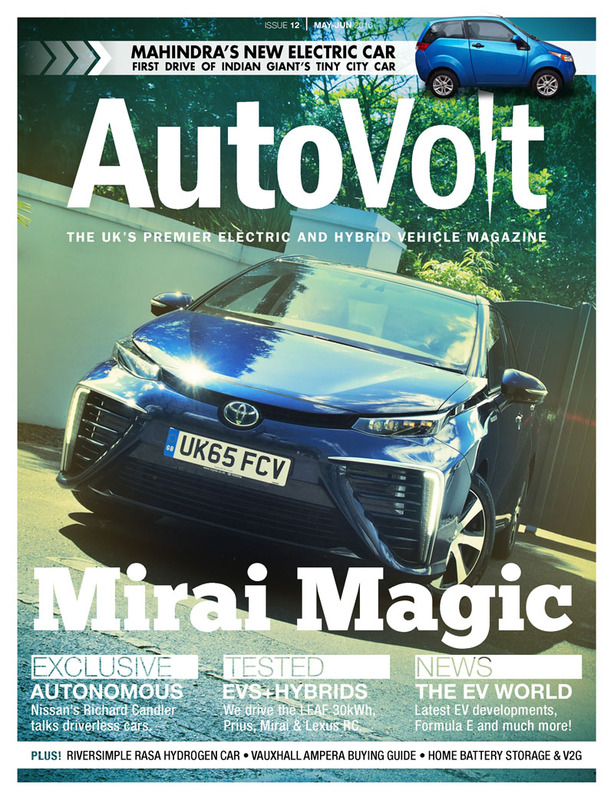 Technology review of home battery storage and vehicle-to-grid, plus a buying guide for the Vauxhall Ampera. 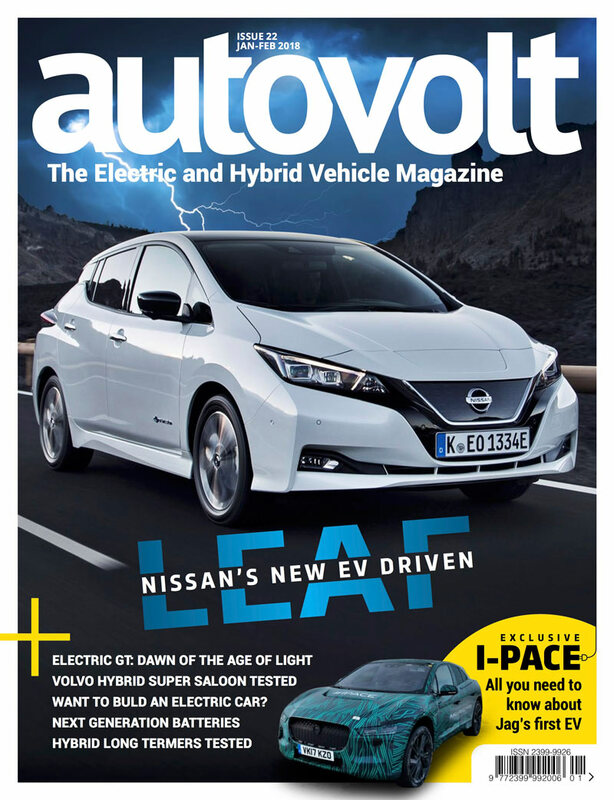 March-April 2016 Issue 11 features first drive in the 2016 Toyota Prius, Nissan LEAF 30kWh, BMW X5 xDrive40e and Volvo XC90 T8 Twin-Engine, plus full reviews of the Toyota Rav4 Hybrid and Nissan e-NV200 Evalia. 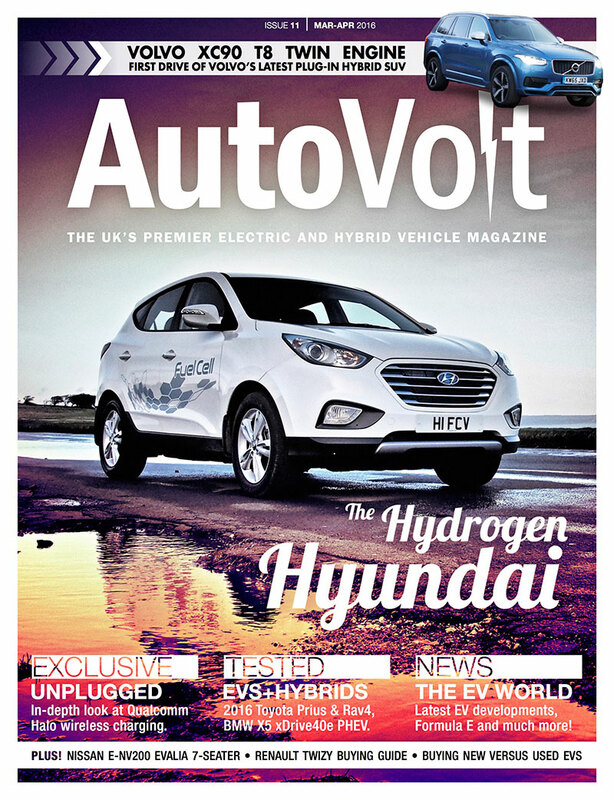 Special features about living with a Hyundai ix35 fuel cell vehicle, our hydrogen world record attempt and technology piece about Qualcomm Halo wireless charging. We interview Lars Lagstrom, Volvo XC90 Project Lead and look at the pros and cons of buying new vs. used electric cars with EcoCars4Sale. Plus, there’s a buying guide for the Renault Twizy. 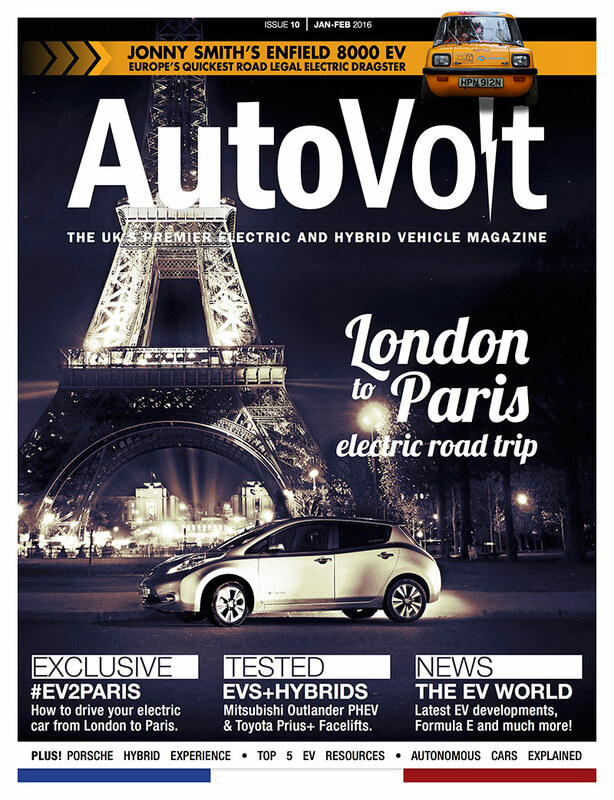 January-February 2016 Issue 10 features our long-range trip in a Nissan LEAF from London to Paris and how you can take your EV abroad too. We look at the top 5 EV Resources, as voted for by you. A special exclusive look at Jonny Smith’s Flux Capacitor – Electric Dragster. Our tech feature focuses on explaining how autonomous car technology wotks. We review the revised Mitsubishi Outlander PHEV and the Toyota Prius+ seven seat hybrid. Plus we drive the Porsche Panamera S E-hybrid at the Silverstone Experience. Our buying guide looks at the Renault Fluence Z.E. 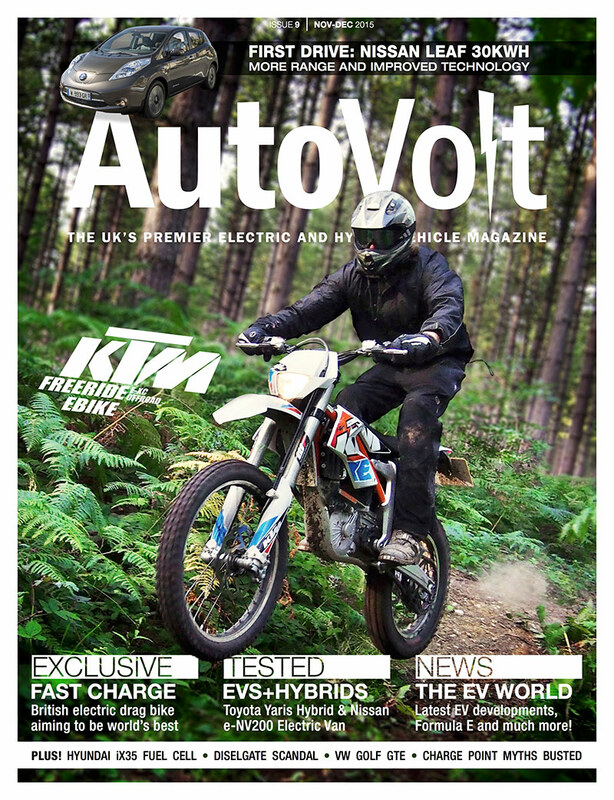 November-December 2015 Issue 9 features the KTM Freeride E-XC, Nissan LEAF 30kWh, Charge Points, Dieselgate scandal, VW Golf GTE PHEV, Nissan e-NV200 van, Dewar & Simms awards, Toyota Yaris Hybrid, Hyundai ix35 Fuel Cell, Fast Charge electric drag bike. 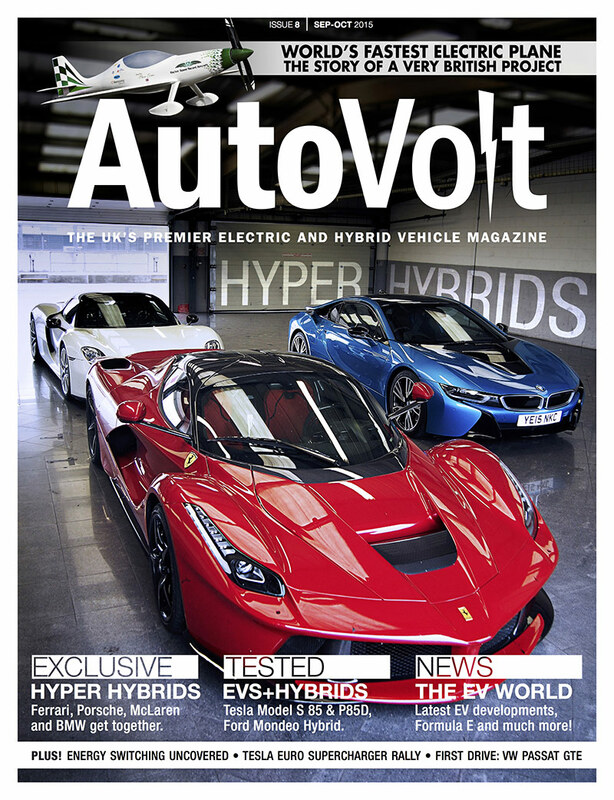 September-October 2015 Issue 8 features the Ferrari LaFerrari, Porsche 918 Spyder, McLaren P1, Electroflight, Energy Switching, Tesla Euro Supercharger Rally, Model S P85D, Solar Panels, Ford Mondeo Hybrid, VW Passat GTE. 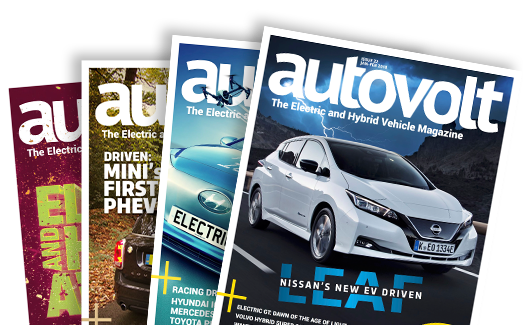 July-August 2015 Issue 7 features AutoVolt’s first annual awards, a review of the BMW i8 sports car and the story of Kingston University’s Ion Horse. Plus, there’s a review of the Infiniti Q70 Hybrid, a buying guide for the Honda Insight gen.1 and more. 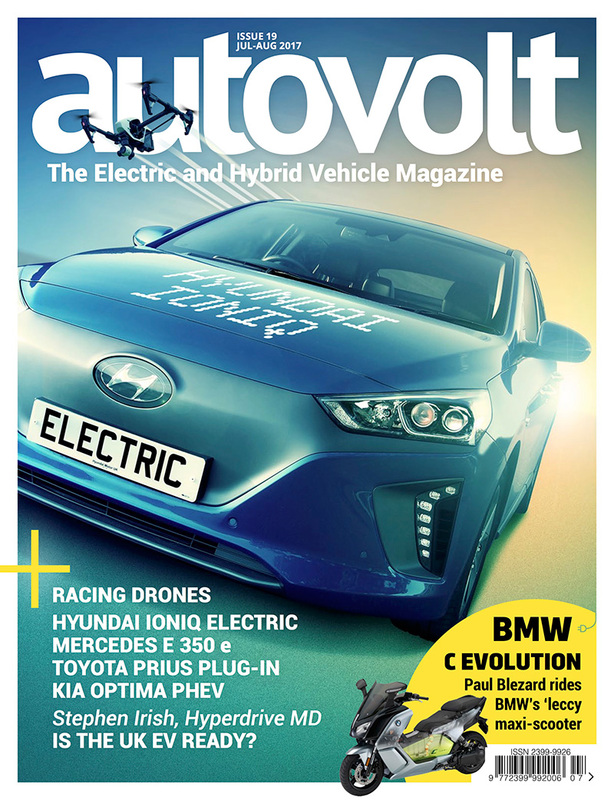 May-June 2015 Issue 6 features a comparison between the BMW i3 and Audi A2, an interview with Alex Calnan from Electric Blue, a twin review of the Lexus IS 300h versus the Mercedes-Benz C300 BlueTEC Hybrid. Plus a first drive in the VW Golf GTE. 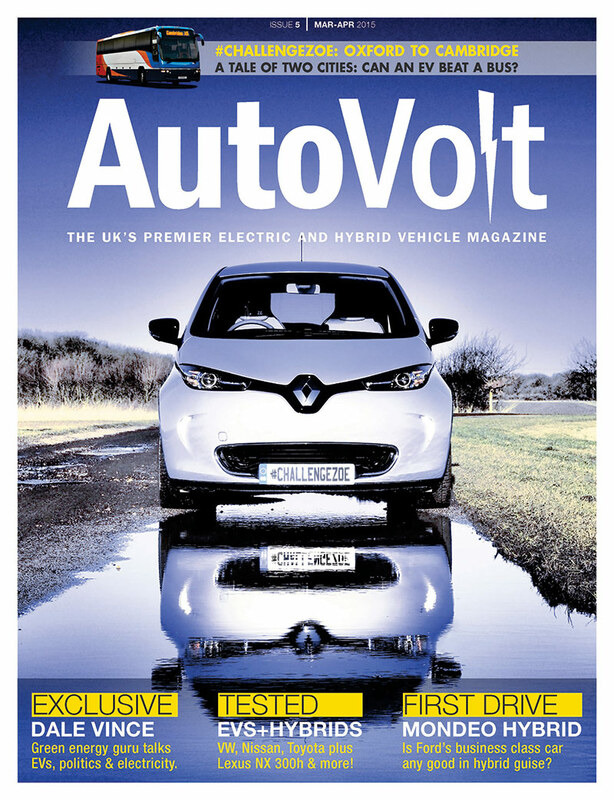 March-April 2015 Issue 5 features a race between a Renault ZOE and the X5 bus from Oxford to Cambridge and an exclusive interview with Ecotricity’s CEO Dale Vince. Plus we review Lexus NX 300h, Toyota Prius Plug-in, Nissan e-NV200 Combi & VW e-up! 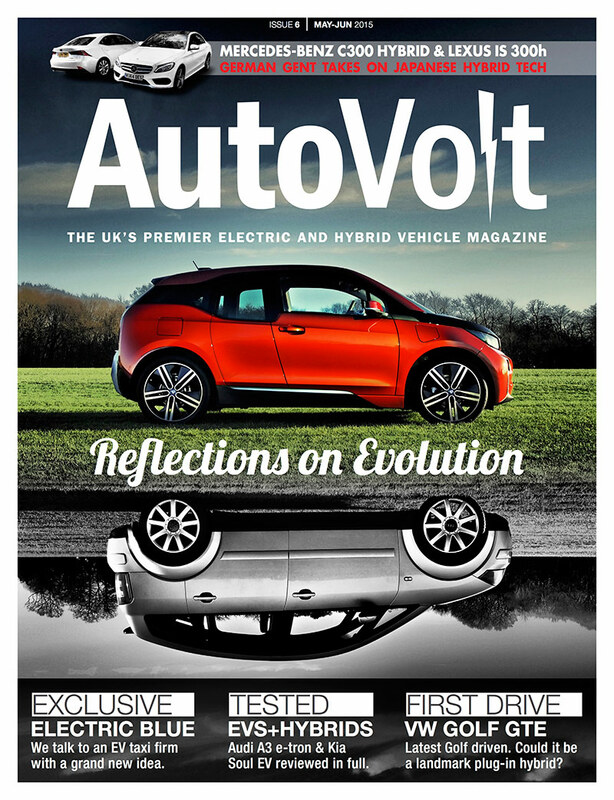 January-February 2015 Issue 4 features a twin test between the Nissan LEAF and VW e-Golf and an exclusive drive of the concept MG electric car. Plus, a focus on fuel cells with a review of Honda’s FCX Clarity. And, we review the Mitsubishi Outlander PHEV. 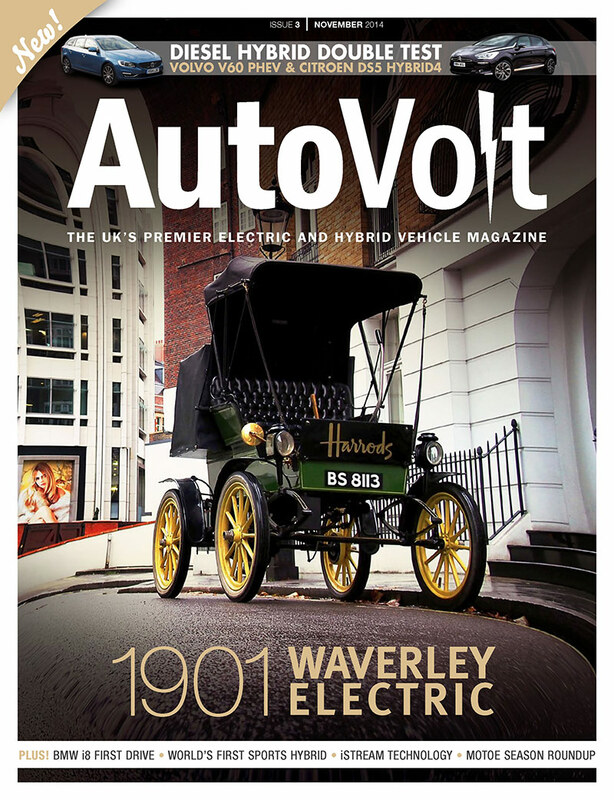 November 2014 Issue 3 features a look at Harrods’ 1901 Waverley electric car, diesel hybrids the Citroen DS5 Hybrid4 and the Volvo V60 PHEV. There’s also a first drive of the BMW i8 and a review of the Honda CR-Z hybrid sports cars and much more. 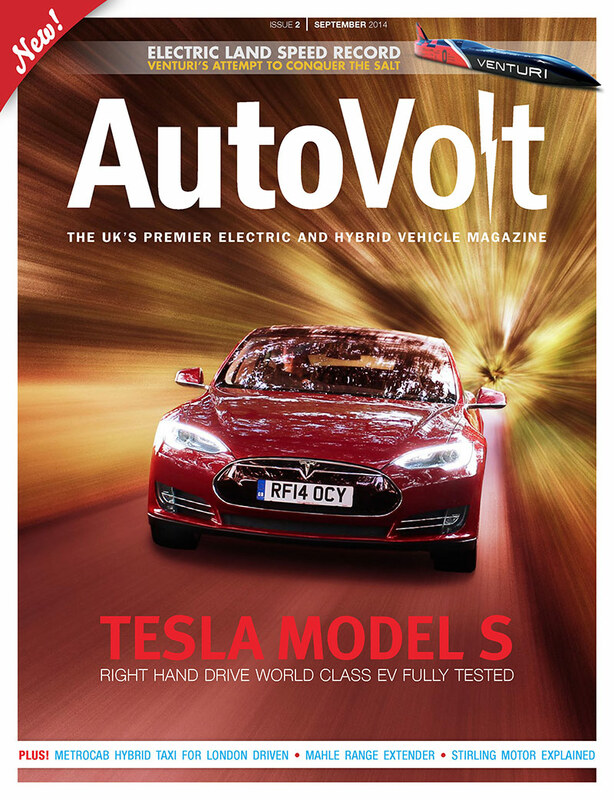 September 2014 Issue 2 features a first drive in the fresh from the ship Tesla Model S RHD. Also, we follow the Venturi team as they attempt. We drive Metrocab’s hybrid taxi for London and look at MAHLE’s hybrid technology and the Stirling Engine. 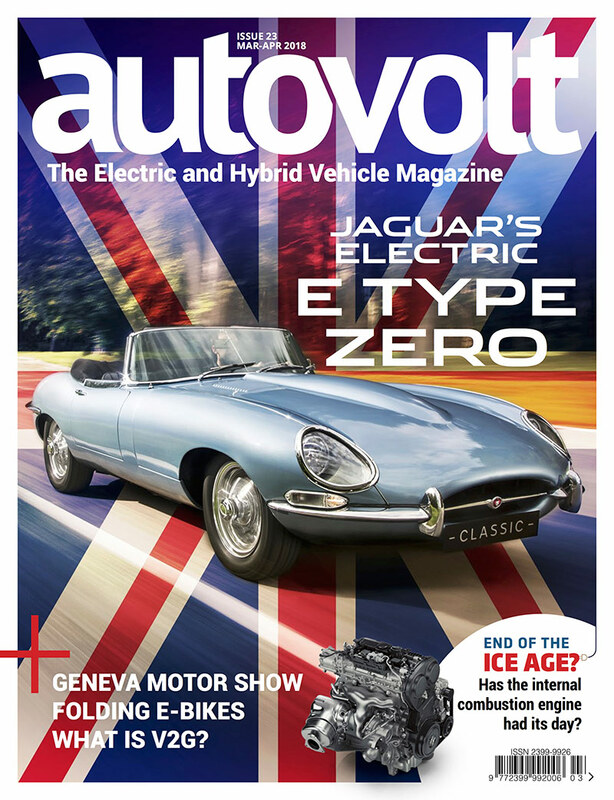 July 2014 Autovolt’s first issue features a fascinating interview with Paul Newsome about the Jaguar C-X75 hyper hybrid, a review of the BMW i3 EV and Flybrid’s mechanical flywheel ‘regen’ technology. 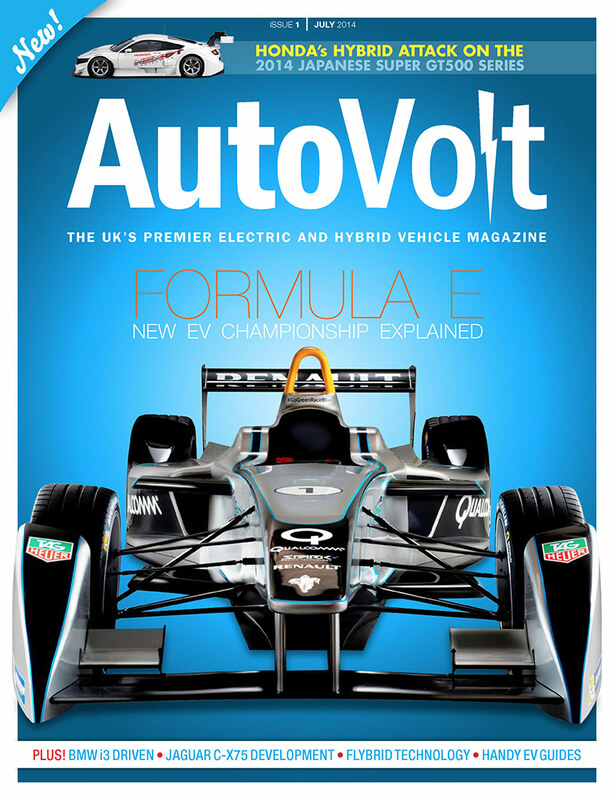 We also take an in-depth look at the all new Formula E electric racing series. MagCloud offers a premium print service alternative to Amazon, with worldwide delivery. 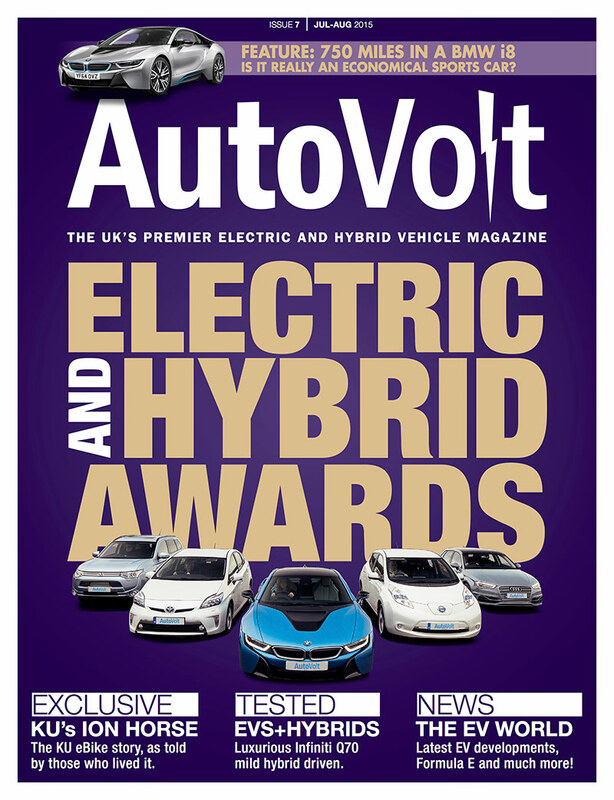 Autovolt is the UK's leading consumer magazine dedicated to electric and hybrid vehicles. We cover electric cars, hybrids, plug-in hybrids, fuel cell vehicles and much more. Subscribe to our newsletter to be kept informed of our latest issue releases, news and more.